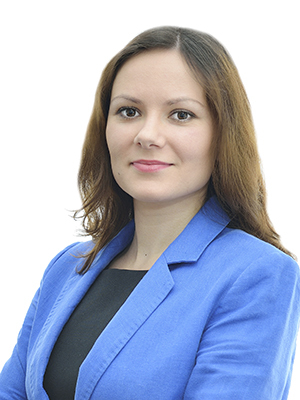 Being a member of the Bucharest Bar since October 2011, Diana Jaravete joined our team in August 2014. Her expertise covers dealing with both advisory and litigation matters in areas such as contract law, debt recovery & insolvency, real estate and corporate law. Along with the projects submitted to her attention, Diana has also become acquainted with the general principles of FIDIC contract conditions and has gained a valuable insight into the Energy field and private international law. The projects managed involved national and international actors in the public administration, trucks production and distribution, IT and infrastructure construction fields. • a wide range of banking projects, related to general bank lending, asset/project/real-estate finance, debt restructurings, securities, payment instruments.